Authors of books in the "Complete Reference" series have always had a tough row to hoe. They attempt to condense an entire set of product documentation to a single, referenceable volume. And all that has to be done in the time frame allowed by software release schedules. Kudos to the authors of this particular volume for having pulled together a lucid, reasonably detailed summary of the most important parts of Solaris. 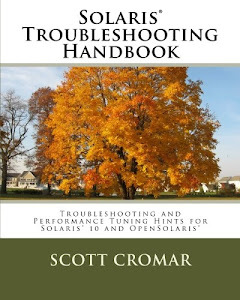 Despite the name, no one book can actually be a complete reference for something as complex as Solaris, but this book is a pretty good addition to any Solaris admin's bookshelf. One of the difficulties of writing a book by committee is maintaining the same audience and consistent focus across chapters and topics. In this case, there are some chapters where the level of detail does not match what is present in other chapters. And in some cases, there is a distinct audience mis-match. I came across one howler in Chapter 10: "differences between shells are subtle, indistinguishable to most regular Solaris 11 users." The author of that chapter goes on to explain that for that reason, the chapter will focus on bash. Fair enough on the selection of the most common shell for detailed discussion. But you have to wonder how useful a chapter is going to be if the assumed audience is too clueless to see the difference in how sh and csh (for example) execute even simple actions like setting an environment variable. It would be nearly impossible for a book of this type to earn 5 stars. But this volume gets a solid 4 in my book. Thank you for your review! This book, the first one published on Solaris 11, indeed picked the key topics required for new Solaris users, and was not truly "complete". Additionally, we wanted to focus on stable concepts that would not change significantly with Solaris 11 updates (like the 11.1 release). 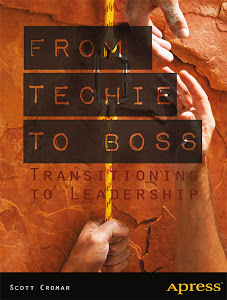 The book, along with the OS, have gotten very good reviews! And with the intro of Oracle's new SPARC systems, we expect a surge of interest in Solaris. The idea of writing a "Complete Reference" for a moving target like Solaris is nearly impossible, but you did a great job. I hope you're right about Solaris. It is far and away the best of the 'nixes, but it is under real pressure in the operational world. The last several jobs I've had have involved migrations from Solaris to a more Linux-based infrastructure, mostly for cost and flexibility reasons (such as the difficulty of integrating Solaris 10 into AD without costly 3rd party software). That is a shame, because the combination of zones and ZFS have the potential to make Solaris a dream to administer. Even there, software licensing costs have been a challenge, which tends to push the cost of the overall solution. I'm hoping that the increased efforts at supporting the cloud/x86 VM space will help it keep pace in the marketplace.